You have work that must be done before your vehicle can move into a new season and travel in new weather. We are here to complete all of the seasonal maintenance work that you need to have completed in Alton. You can trust our staff to take on the oil change that you need to have completed. We will make sure that the oil in your car will get you through another season. You can trust our staff to figure out if you need new tires or not and replace them if you do. Any maintenance work that you want to have completed as we enter a new season can be completed by our staff. 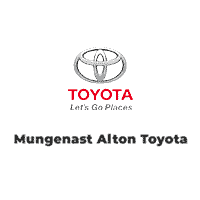 Stop by Mungenast Alton Toyota and see just how we will take on your seasonal maintenance work. We are here to meet your needs, and we will always do that in a way that will set you up well.